It is 2018, The Girls Education Initiative of Ghana, GEIG is now 4 years old and have seen the advancement of its program since it began in 2014 where the beneficiaries have now fully transitioned to senior high school. The second cohort has been recruited as a continuation of existing programs. GEIG is now fully matured because it has accomplished in full, all the components of its program (GIEG LEARNS - GIEG LEADS - GEIG SERVES). 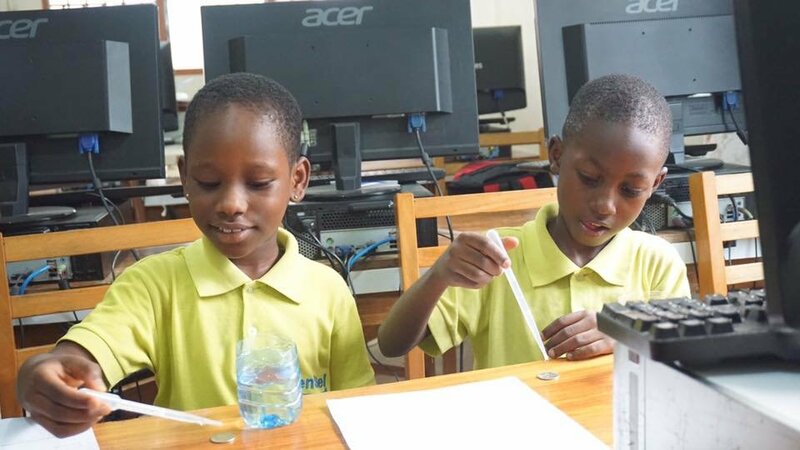 Students, especially those in government schools don't have readily accessible to practical STEAM education in the Bawleshie and Dansoman districts of Greater Accra region in Ghana. Connected Communities - Applied Science, Technology, Engineering, Arts and Mathematics (STEAM) is a program developed to offer academic programs to focus on engaging other students and schools in the community towards critically thinking and applying theoretical concepts in STEAM to solve socio-economic matters such as access to education, sanitation, etc., which will lead to development and contribute to the United Nations Sustainable Development Goals (SDG), specifically SDG 4,5,9. Over a year, the project will offer 100 students the opportunity to use technology to tackle issues in their lives, schools, and community.